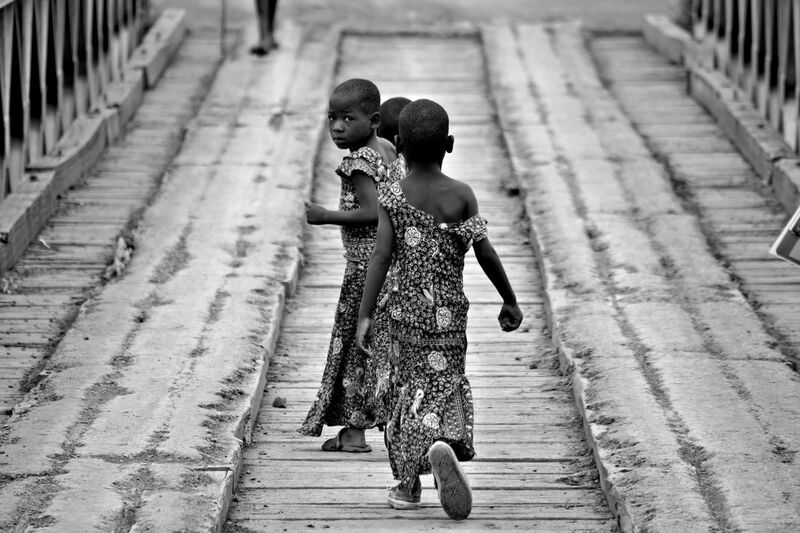 Siblings cross one of two bridges on an errand across the crocodile infested Mara River in Tanzania. The children are often responsible for fetching water or farming. This bridge affords safety from the dangerous water below.